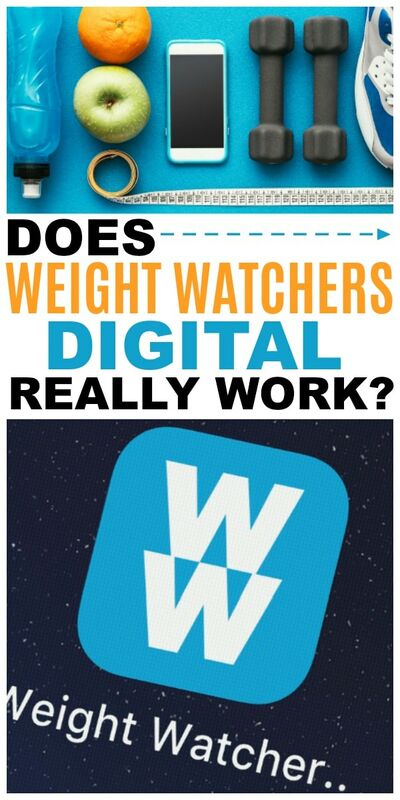 I get asked the question of does Weight Watchers online really work a lot. It is a reasonable question and I will give you my honest opinion as someone who has done online and meetings. It is always good to get lots of perspectives, Weight Watchers ideas and motivation too! 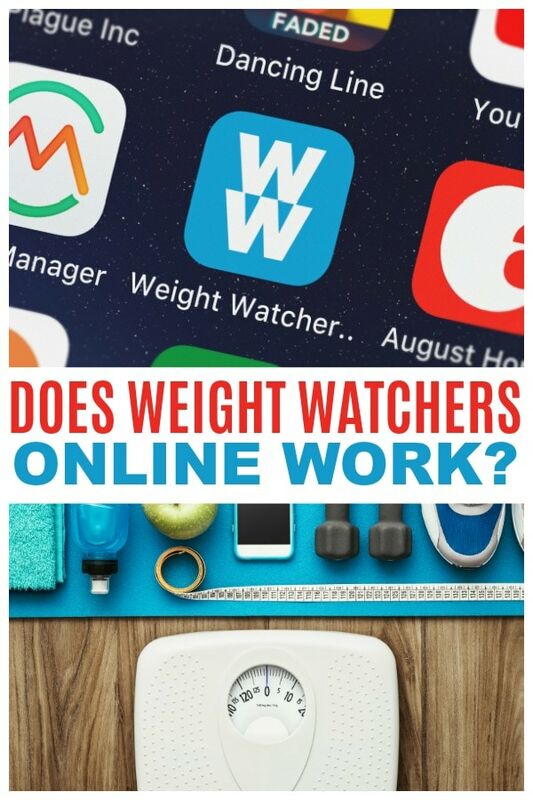 DOES WEIGHT WATCHERS ONLINE REALLY WORK? I love that Weight Watchers offers different programs to meet the needs of different people. There are cost differences between the programs that can play into your decision-making too. First off I want to clarify that ONLINE is no longer the term that WW uses. 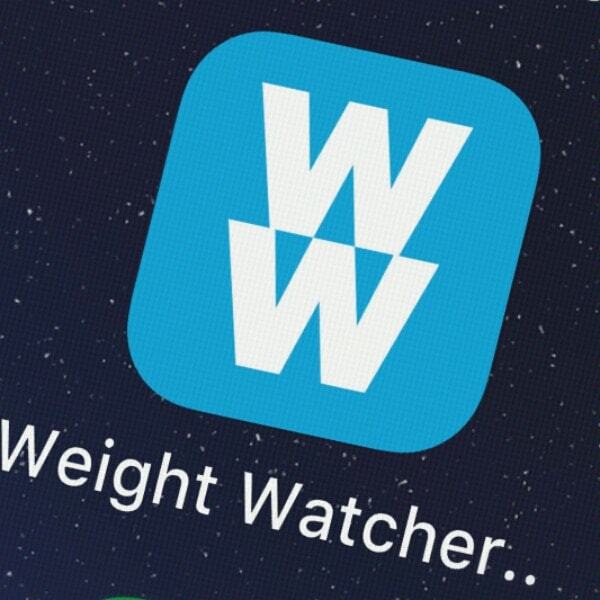 They call it Weight Watchers Digital now. 🙂 BUT…it has been Weight Watches online for a long time and I know that term will take years to change over to digital. WHAT DOES WEIGHT WATCHERS ONLINE GIVE YOU? Let's talk about what you get if you do Weight Watchers online. You have access to the WW website and the WW app. You start off creating an account and that allows you to log in to both the website and app and have full access to those. There is full access to the WW recipe database of over 4,000 recipes with points already figured. A WW Coach is available via chat 24 hours a day. You are also able to access Connect. This is a private online platform for you to connect to other members via a private social media type of platform. It reminds me of WW Instagram! Weight Watchers online has a cost of around $3.07 a week according to the WW website right now. That price is based on signing up for a subscription plan. WHAT DOES WEIGHT WATCHERS ONLINE NOT GIVE YOU? Weight Watchers online doesn't give you face to face support. This face to face contact is important to some people and can make a difference. It really depends on the person! When you chose to do Weight Watchers Studio (meetings) you get a weekly group workshop or meeting. There is guidance from a wellness coach or meeting leader with Weight Watchers Studio. 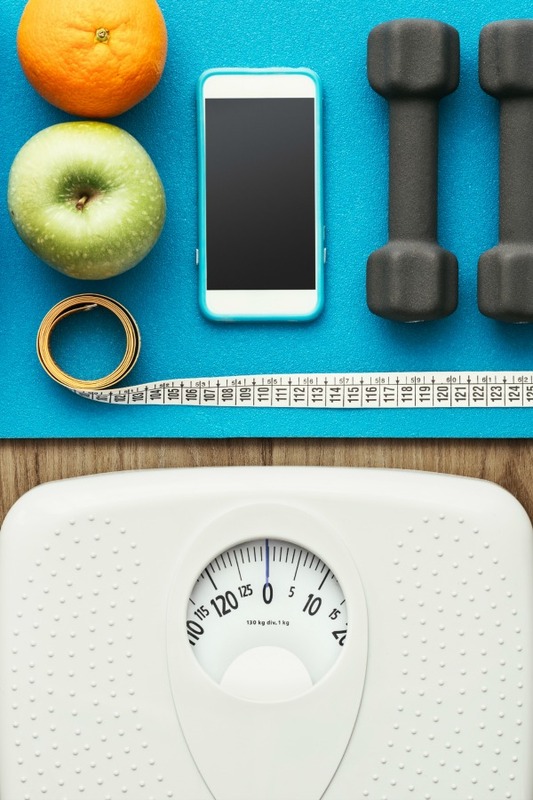 You have a weekly wellness check-in or what everyone calls a weekly weigh-in with Studio. There is also the benefit of all the materials in printed form when you pay for WW Studio. I personally loved the printed materials when I attended the meetings. There is a big stack in my office of all the materials I have ever received from WW and I still look at it all occasionally. I think the biggest advantage to attending the WW Studio is the accountability of other people. Knowing that I have to go and step onto a scale in front of another person is big. Unfortunately, that wasn't always a motivating enough factor for me to follow the program like I should! There was a great support system at the meetings…or at the meeting I attended. I know every studio experience will be different. The people who attended our local studio were very encouraging and supportive. If you are a person who needs lots of accountability then Weight Watchers online may not work as well for you. WW Digital puts the responsibility all on YOU (me). No one knows if I don't track, if I don't weigh myself, etc. It can be easy to fall behind. I know that people want a definitive answer for whether WW Digital will work or not and I can't answer that question for you. It all comes down to US. When I work the program then it usually works for me. When I don't…my weight creeps back up. I think that the tools available for Weight Watchers online are good and I like the program. The cost is more affordable and I am busy and a homebody and don't like to get out in the evenings for meetings. I honestly think I do better with digital plus meetings, but at the moment I am only doing digital. Many people have an issue with not having a meeting nearby and digital is the only way for them to go. 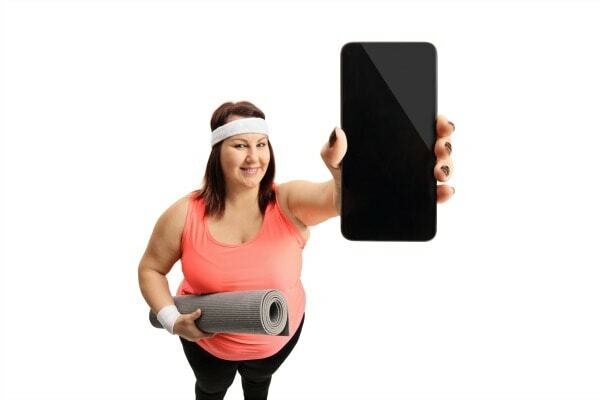 The bottom line is that whether you choose to do Weight Watchers online or Studio is a personal choice. There are several factors involved and you have to find what works for you. I would advise you to try WW Studio first if you live near a meeting location and can afford it. You get digital services with Studio membership so you can try out the digital products while going to meetings and see which one will be more effective for you! Which do you do? Let me know your thoughts! Jamie I use the WW meetings as I am next tech savvy and I enjoy the face to face interaction…getting weigh in keeps me accounted for my habits as I have a terrible sweet tooth so I need the discipline! I like WW online and I have gone to an actual meetings. The pamphlets I recycle because the recipe to exotic and don’t have time to fix. The online does recognize my weight loss and give me points for tracking. I started in July 2018 and lost 30lbs. and yes I went off the wagon but I got back on. If I miss meetings I would still have to pay. It’s all in your mind if you really want to lose weight. I LOVE this new program. I did the meetings and lost weight consistently. I need to be accountable to others, for sure. I’m failing with the online app only. As with any weight loss program, it works IF YOU work at it. I am a paying lifetime member, we all got a good laugh out of this when I told my instructor that as I had been on WW since 1969 and NEVER reached goal. Now I am doing Digital as they call it now, I am tracking every single day and weighing in on Wednesdays as this is the day I chose. It is slow coming off now but it is coming off. BE TRUE TO YOURSELF and it works. I am doing only online and it is great! It definitely helps that I have a “weight loss partner”- a friend who is also trying to lose weight (though she’s on a different plan), so we hold each other accountable. Also when we get together with our husbands, everyone eats “diet friendly” food so no one is tempted to eat other foods. Plus we go walking together after work – an added bonus! So with all that support I find the online is sufficient and I don’t have to try to get to town for a meeting once a week.